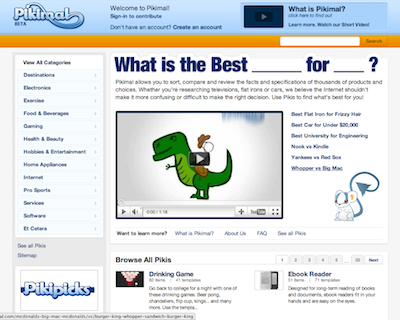 Pikimal is a decision engine that allows users to find the best for their specific needs in a variety of categories. Pikimal uses an algorithm that focuses solely on the facts and specifications about the products, avoiding the typical marketing and SEO bias. Previous post: Giveashout.com/SimplyEvents.com – What’s On Your Calendar?